Protect acreage along riparian corridors (forest and prairie), in a holistic approach, for each of four Galveston Bay sub watersheds (Lake Creek, Cypress Creek, Spring Creek, Buffalo Bayou, Clear Creek and two major rivers- Brazos, San Jacinto and Trinity) and develop plans to improve habitat for birds migrating between the coast and inland areas. Collaborative trail and open space projects (riparian forest and wetlands) along entire 250+ mile stretch of 10 bayou arteries from Spring Creek south to Clear Creek. Restoration and preservation of hundreds of acres of upland prairie throughout the eight counties in the RCP. Restoration, creation and preservation of Galveston Bay oyster reefs, inland rookery islands and other bird habitat within the lower Galveston Bay watershed. Click on the individual icons to learn more about the project. The Gulf-Houston Regional Conservation Plan (Gulf-Houston RCP) is a long-term collaborative of environmental, business and governmental entities in the eight-county Gulf-Houston Region working together to promote a multiple ecosystem continuity and connectivity plan that provides (1) the 24% by 2040 Land-Use Strategy (launching Spring 2018); (2) a 4-part Action Agenda for enhanced ecosystem services; (3) environmental data analytics and analysis on the ecological aspects of the 8-county region - including comprehensive land-use, the benefits of the myriad of ecosystem services to residents, businesses, and wildlife, and targeted environmental needs and GIS-based planning efforts; (4) a Working List of all environmental-based projects in the RCP coverage area; and (5) coordinated support for various funding strategies at all levels. The RCP Working List of Projects is comprised of every known environment-based project in need of full or partial funding in the 8-county region. The RCP includes four key initiatives encompassing environmental projects around the region, divided into two phases based on land acquisition and easements or restoration and enhancements. Learn more about the partners on this project here. Riparian Corridor Protection Initiative – protect riparian corridor within the nearly 50 watersheds that feed into Galveston Bay, including the Brazos, San Jacinto and Lower Trinity rivers. Bayou Greenways Initiative - collaborative trail and open space projects (riparian forests and wetlands) along entire 250+ mile stretch of 10 bayou arteries from Spring Creek south to Clear Creek. 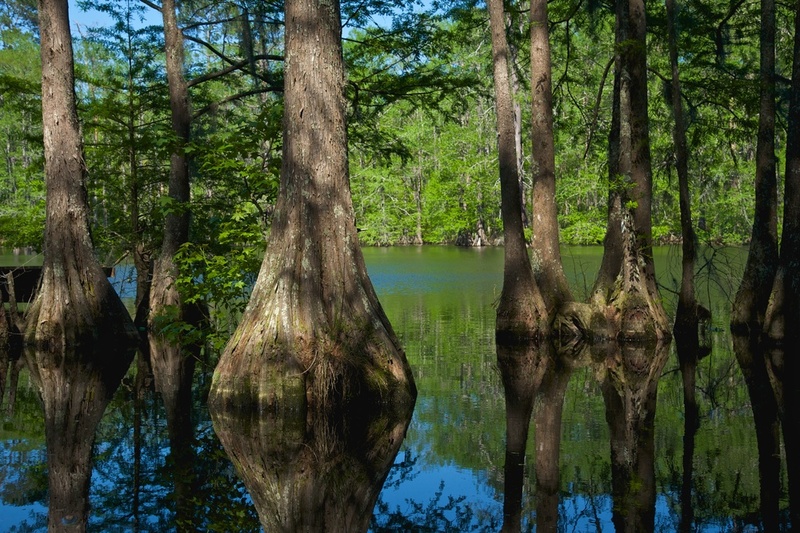 Headwater to Baywater Initiative - connecting bayous and the bay in the San Jacinto River watershed through riparian protection and restoration. Lower Trinity River Project - connecting ecotourism to riparian conservation by protecting riparian corridors along the Lower Trinity River in the five counties which encompass the LTR watershed leading towards Galveston Bay. Columbia Brazos Corridor Project - protecting and enhancing riparian habitat along the Brazos River and Columbia Bottomlands Corridor. Prairie Conservation Initiative – restoration and preservation of tens of thousands of acres of coastal prairie remnants that comprise the One Prairie throughout the eight counties in the RCP. Galveston Bay Habitat Acquisition & Easements Initiative - restoring habitat (coastal wetlands, bottomlands and estuaries) from multiple counties leading into the Bay & Gulf Coast, including Galveston Island and other nearby barrier islands. Galveston Bay Oyster Reefs & Migratory Bird Habitat Initiative - restoration, creation and preservation of Galveston Bay oyster reefs, inland rookery islands and other bird habitat within the lower Galveston Bay watershed. Gulf-Houston Monarch Flyway Strategy - is a collaborative effort focused on the preservation and creation of monarch butterfly and other pollinator habitat in the region. On August 25, 2018, Harris County voters approved the $2.5 billion Harris County Flood Control District (HCFCD) bond for flood risk reduction projects throughout the county. The Harris County Bond Program Projects List consists of 50% - 75% nature-based infrastructure projects. This will add significantly to the 24% by 2040 Strategy. Fort Bend County Commissioners voted on May 1st to look for a firm to study how water flows across the jurisdiction and to consider how future development could affect that. The county plans to use the information from the study to shape a potential $250 million bond election. 2. U.S. Army Corps of Engineers announces nearly $5 billion in funding for nature-based projects including levees for coastal spine and flood damage reduction projects in partnership with HCFCD. See U.S. Army Corps of Engineers press release below for more information. 3. The National Fish and Wildlife Foundation (NFWF) in partnership with NOAA announces the National Coastal Resilience Fund. NFWF will award up to $30 million in grants to create, expand and restore natural systems in areas that will both increase protection for communities from coastal storms, sea and lake level changes, flooding, and coastal erosion and improve valuable habitats for fish and wildlife species. Full Proposal Due Date: Tuesday, August 7, 2018 11:59 PM Eastern Time. Click here to learn more.